Established in the year 2007, at Faridabad, (Haryana, India), we “Aum International Tapes Pvt. Ltd.”, are engaged in manufacturing, wholesaling and retailing a comprehensive assortment of Foam Tapes, Masking Tapes, BOPP Tape, Industrial Tape, Adhesive Tape, Electrical Tape, etc. The strength of our company lies in the team spirit & vast knowledge of our professionals. Our company's goal is to emerge as the most trusted choice of buyers. For this, we comply with the global norms and follow ethical policies. Our team members are provided with latest tools and machines so that they can efficiently undertake all the processes. Also, we have been following strict quality control procedures during all manufacturing stages. 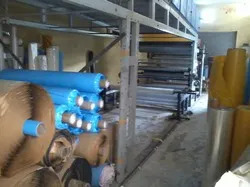 The operational efficiency, huge production capacity and timely execution are the attributes that very well define our organized working structure. 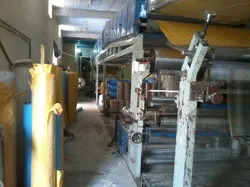 Latest machines and equipment installed at the production plant are upgraded/ updated by our engineers so as to fulfill changing industry needs. The materials used in the making of our product range are only sourced from trustworthy industry vendors. Under the supervision of our Mentor “Sandeep Sharma (Director)” we have marked a distinct and dynamic position in the market. We take pleasure in introducing ourselves as one of the leading organizations, engaged in offering a comprehensive range of products.